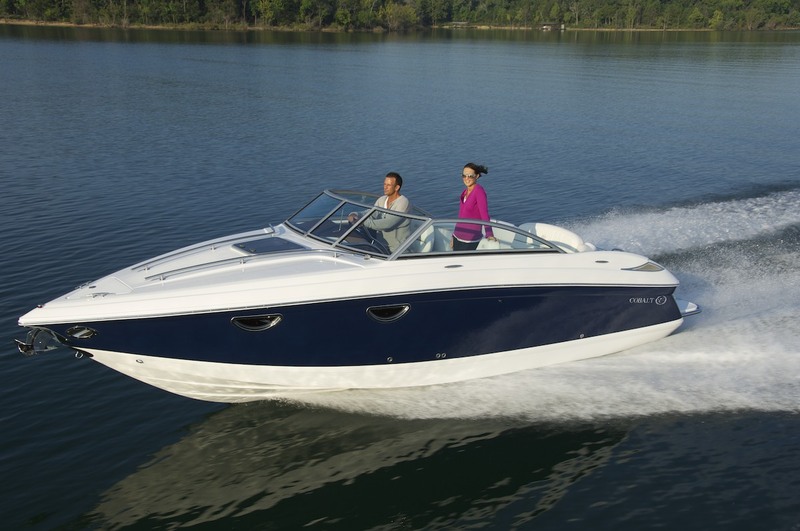 In the passage of model years, one introductory boat to another, “new” and “different” are the easy bywords. “Valuable,” not so much. 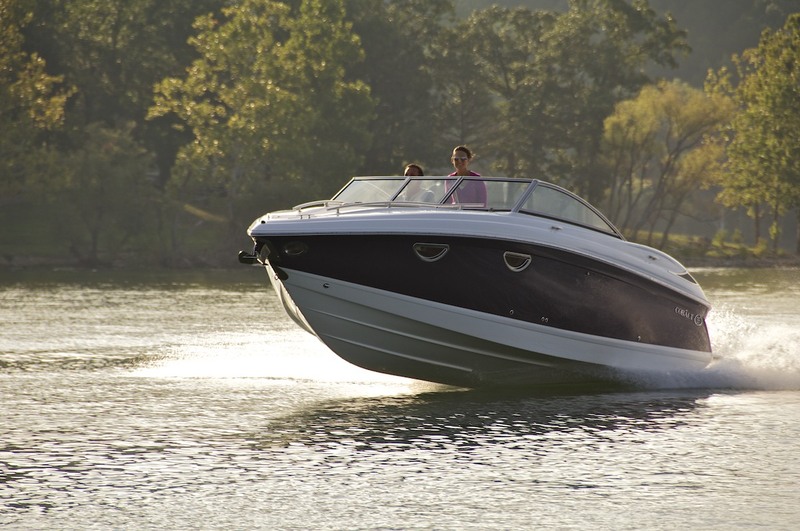 The demonstration of authentic, enduring value in each new feature on a boat becomes exponentially more challenging, yet rewarding with each passing season, and so now the Cobalt 243 follows in the direct lineage of the rightfully recognized Cobalt A25, last year’s fan favorite in the delivery of genuine value. 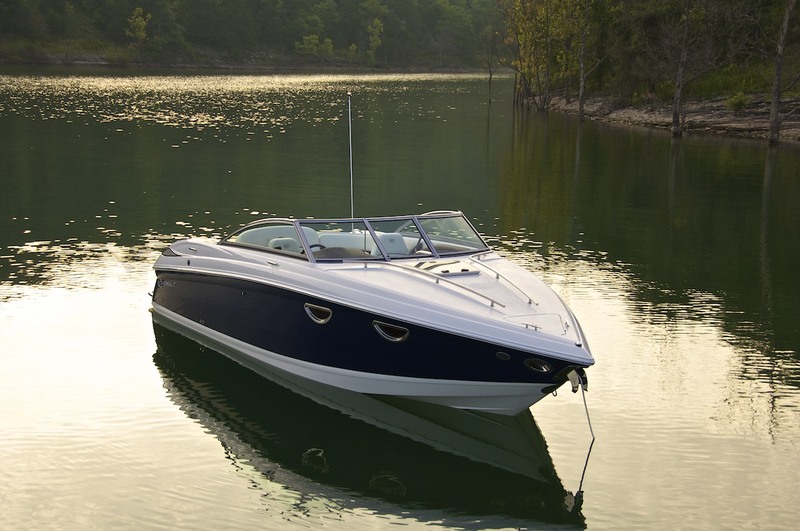 The 243 is already generating excitement among confirmed day boat aficionados, those prone to dismissal of a cuddy as incapable of the heart-pounding excitement they routinely seek, people who see in the 243 the ideal blend of performance underway and luxury afloat. All the expected Cobalt hallmarks are here: the suddenness to plane, the inimitable ride, the stability in turns, the all-around luxury, ultimate sorts of convenience in the boat’s amenities, both standard and optional. And then, in perfect examples of the Cobalt value calculus, come the brand new answers to traditional tradeoffs in cuddy construction, the brand new suggestions that 243 owners really can have it all. Where before Cobalt cuddies came down hard, as well they might, on room for captain and crew, spread-out spaciousness that manifested itself in cabin air and light, in cockpit as entertainment center. Make no mistake, all that usual roominess remains, but now in the company of practicality in two all important areas: ski storage and cockpit appliances. 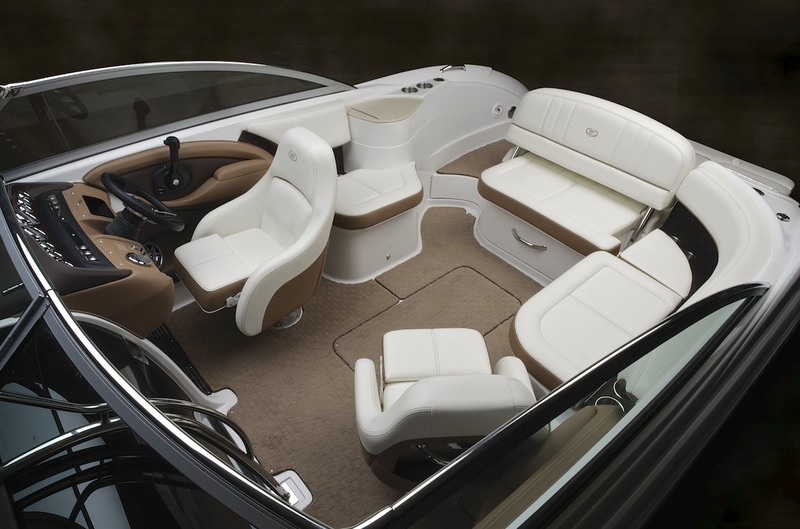 The 243’s layout incorporates a full-length, aft ski and wakeboard locker as large, as easily accessible as any bowrider’s – with no sacrifice whatsoever of either living or storage space elsewhere. Secondly, there’s now a sink console for the cockpit, an option much in demand from current Cobalt cuddy owners. In incorporating these two particular design elements, the 243 brings along a cockpit and interior design that stands among Cobalt’s most sophisticated ever, particularly at the cabin entry. 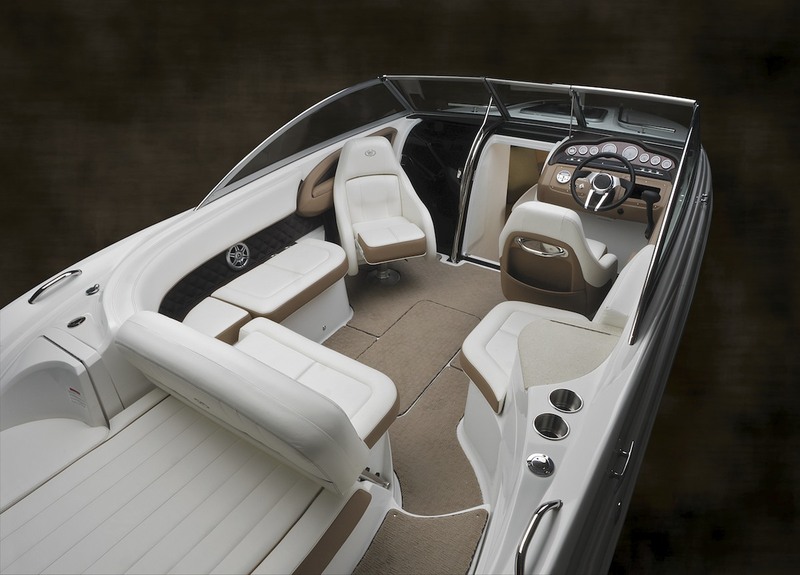 There, subtle textures and well-dressed surfaces mix with ultimate convenience in a masterpiece of a sliding companionway door that enables both wide-open access to the cabin and a separate cockpit entrance to the head compartment – a design that solves an heretofore perplexing question. “How to place the head for undisturbed, simultaneous service of cabin and cockpit alike?” In this regard the 243 differentiates itself from the industry norm by having two separate cabin entries – one for the cabin, and one separate head compartment which in itself is roomy and well-optioned for maximized comfort. Meanwhile, the cabin offers a full eight feet of bedtime berth length and stretch at a height of 54 inches, inviting linebackers and power forwards to a night of sound, sound sleep. Cabin appointments, rich and thoughtful as always, feature Soft Touch vinyl, an oversized deck hatch, opening portals, and a suspended panelised headliner, it too in Soft Touch. 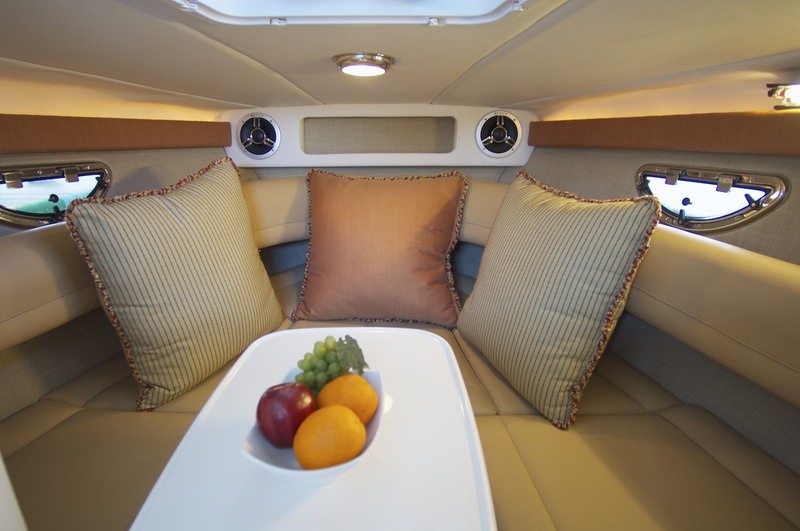 The 243’s cabin options trick the entire affair, from small inclusions such as lighting at the portals to the major jump in functionality provided by the table/filler cushion package. The entertainment choices involve a digital remote in the cabin and an optional Cabin mounted flat screen DVD/game station monitor for the evenings at port. The cockpit too means opportunity for making the 243 uniquely one’s own. 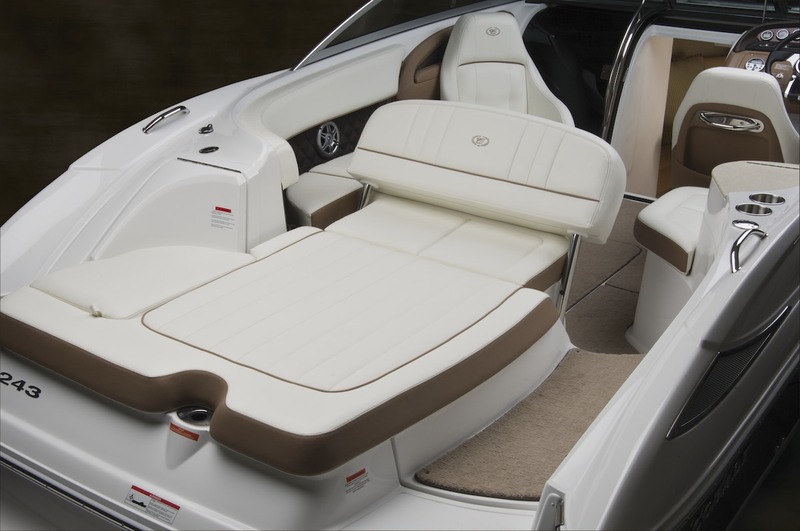 Beyond the standard stuff – 40-ounce removable carpet, insulated ice chest, trash receptacle, and so forth – knowledgeable boaters are adding the available dinette table, the much-in-demand cockpit sink, and/or the new sisal floor covering option is the last word in style and hardy substance. 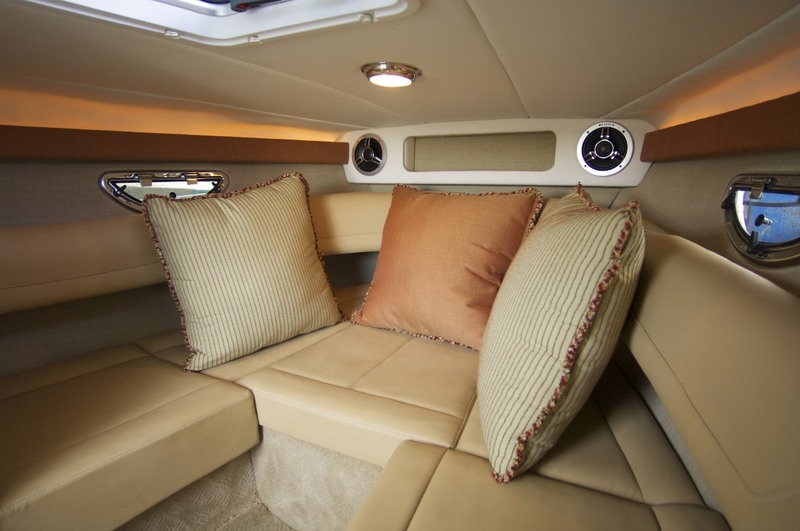 A cockpit heater, shore power, and even terry-cloth seat covers bring an extra measure of customization to this new cuddy. 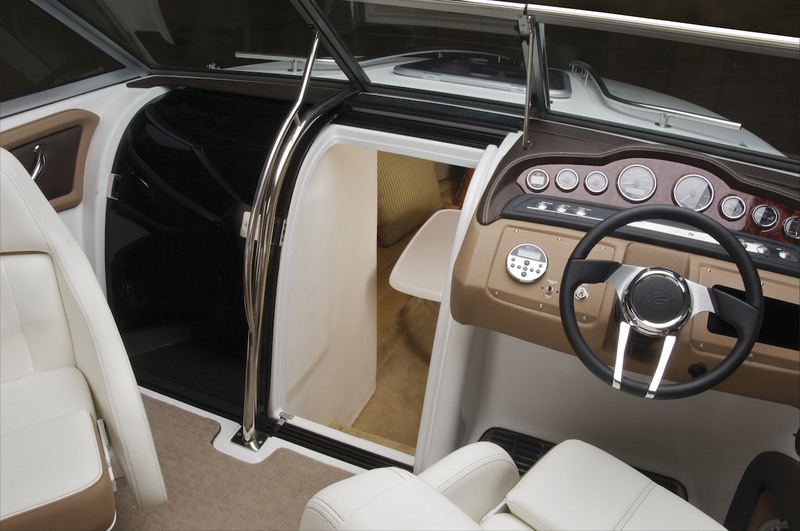 The dash calls for the now legendary black leather, tilt steering wheel set amid digital gauges (speedometer, fuel, temperature, oil, voltage, and tachometer) below an aluminum windshield with a stainless-steel header – all of which is set to administer the appropriate horsepower from a broad choice of powertrains, MerCruiser and Volvo Penta alike, up to 430 horses from brawny twin prop drive options. The dash controls the tunes as well, booming from six speakers, sourced by an AM-FM stereo/MP3 head unit, with digital readout at the remote of course; the premium systems involve amplifier, subwoofer and speaker upgrades. Many early 243 owners are choosing GPS systems intended for safe, efficient use of their boats on big water. And the stainless steel watersports tower with bimini top is also proving very popular indeed. 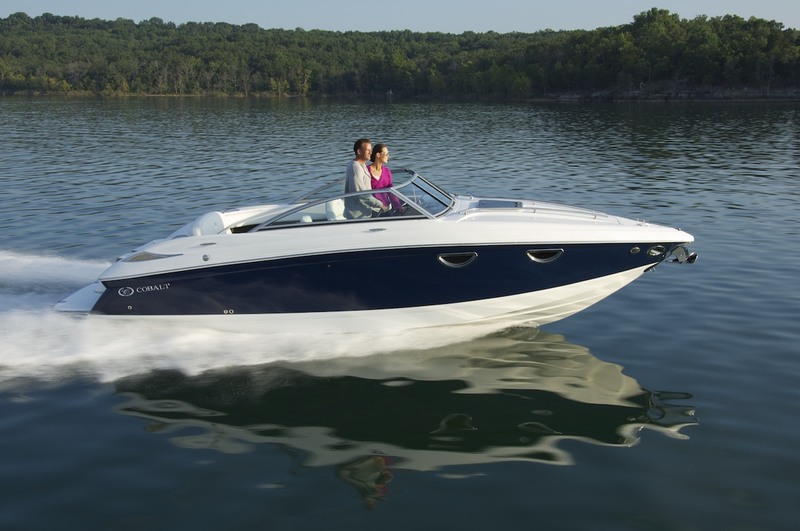 Structurally, the 243 hearkens to the industry’s longest, most comprehensive warranty, the sure promise that the Kevlar-reinforced hull, the boat’s powertrain, its deck and hull will perform flawlessly, will serve its owner’s every command. A thoughtful list of safety and performance add-ons stretches from a motorbox actuator to a saltwater package, from an anti-corrosion system to Cobalt’s new patent pending flip-out swim platform. It seems that Cobalt customers just can’t say enough about this platform, such is its convenience, its easy use in helping swimmers, skiers, and boarders effortlessly out of the water. “Cobalt is an innovator in the industry, and the new platform swim step is definitely the most usable innovation to hit the transom since the extended swim platform. 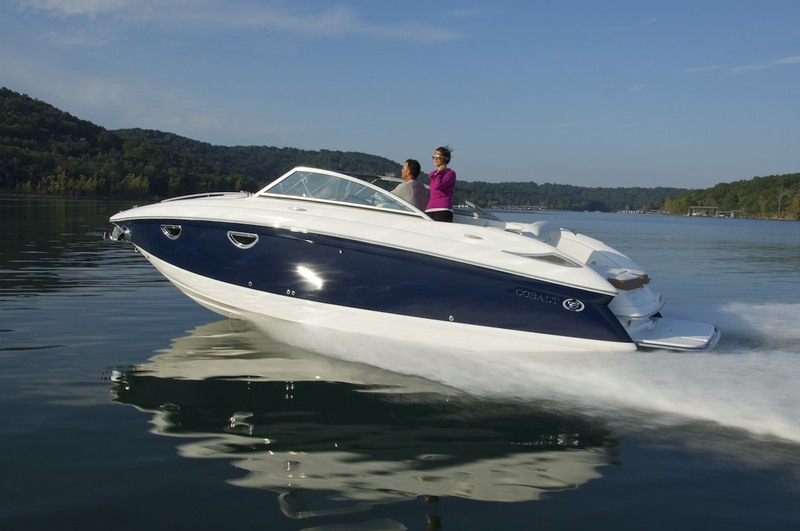 A test drive will show in twenty minutes the truth of it all: the Cobalt 243 means solid, long-lasting, fun and performance exactly what you want from a sports boat cuddy.